This information was compiled by Todd Humphrey, Practice Manager at Vaughan Integrative Medicine. He’s been a part of my organization since 2009. He’s included some very practical information on selecting supplements and has addressed an unfortunate misconception that supplements sold by specialty retailers are too expensive. Supplementation is an investment in your quality of life. You deserve the best! It’s tempting to reach for the cheapest price when choosing supplements. The thing to remember, though, is that the “best value” does not always equate to the best quality; when it comes to correcting nutritional deficiencies, the quality of the supplements used can make an incredible difference in achieving the health you seek. 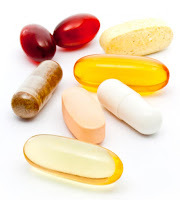 Supplements are typically available in different categories: pharmaceutical grade, food grade, and agriculture grade. While agriculture grade supplements are not manufactured for human consumption and are most often utilized by veterinarians, the other types meet manufacturing requirements for humans. Pharmaceutical-grade supplements, the highest quality grade, meet the United States Pharmacopea’s (USP) regulatory standards as verified by third-party testing for purity, dissolution, and absorption into the human body. The USP provides assurance of the purity of the capsule, certifying that each capsule contains in excess of 99% of the ingredients stated on the label. Additionally, the bioavailability (the percent of the supplement that can actually be absorbed/utilized by the body) is much higher in pharmaceutical grade supplements, especially in whole-food supplements. This grade of supplements is typically only sold by licensed health care practitioners including physicians, nutritionists, pharmacists, chiropractors, and some massage/body workers. These are typically sold without a prescription. Food-grade supplements meet the requirements of the Food and Drug Administration (FDA) for human consumption. The FDA’s regulations are somewhat more lenient than the USP’s regulations in that the FDA allows fillers and binders such as cork byproducts, dyes, sodium benzoate, dextrose, ethycellulose, and propylene glycol. Although these ingredients are legal, in some people they can cause toxic reactions after prolonged exposure. Food grade supplements are often not tested for absorption and there is no mandate to test them for purity; some studies indicate that food grade supplements may not even contain the ingredients in the dosing as indicated on the label. This grade of supplement is most often sold by retailers unaffiliated with a licensed health care provider, like a big-box retailer. As you shop for supplements, be sure you check the manufacturing processes of the brands you are considering. While pharmaceutical grade may be more expensive, the increased absorbability and effectiveness of the nutrients may make it a more economical purchase. Lower doses of a more absorbable nutrient will produce better results than high doses of a nutrient that contains fillers that interrupt absorption. Read supplement labels carefully to identify the nutrient forms included in each capsule. Typically these are listed in parentheses after the name of the nutrient. While there’s no special form to look for with some vitamins, with others the natural form of the vitamin is definitely superior in efficacy. Minerals also come in various forms; elemental minerals, such as those found in soil, are not readily absorbed, so manufacturers bind them to amino acids or other substances to increase absorbability. These are called chelated minerals, and have names like magnesium succinate, calcium citrate, etc. Generally speaking, most forms of minerals are acceptable, but there are some differences in bioavailability based on individual health status. Some people will experience poor absorption of specific vitamins or minerals because of the lack of other nutrients in the body. Achieving optimal absorption sometimes requires an empirical trial of a person’s biochemistry. Because of individual differences in the ability to absorb a nutrient, mineral supplements that contain a variety of sources are probably the best supplements to take, for example, several sources of calcium—such as carbonate, citrate, ascorbate, aspartate, and malate—can be considered to achieve different results. A physician trained in functional medicine or a well-trained supplement specialist can explain the benefits of the various forms of each nutrient. Once you've confirmed that a nutritional supplement has the forms of the nutrients that can optimize your health, the next step is to make sure the product has enough of those nutrients to actually achieve your desired results. Some products boast a wide range of quality ingredients. However, when you read the ingredient labels the amount of each ingredient too small to offer any therapeutic effect. This can be observed often in products that contain a blend of different nutrients, particularly those targeting specific biochemical processes or physical activities like vision, brain or joint health. For example, a supplement blend may promote itself as having a combination of great ingredients. While the blend itself may be a formulation that carefully balances ingredients that do work together to achieve a specific health goal, in reality the doses are so low that the product doesn’t do much good. Avoid these marketing gimmicks by knowing the recommended therapeutic dosages for key nutrients before you go shopping so that you can better identify the best supplements to take.